Come hang out with AMP & Color Me Mine to start off the semester right! Plenty of paint and design tools will be available so you can get as creative as you want while making your own unique mug. 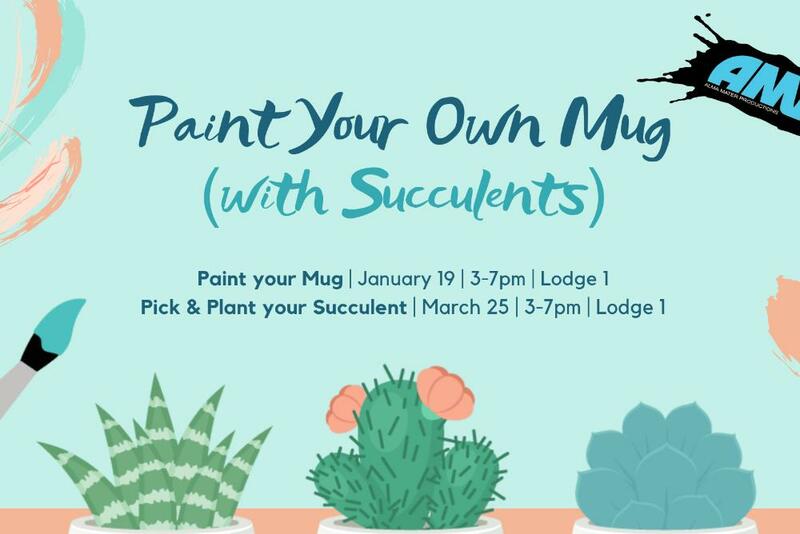 When you come get your mug on pick-up day (March 25th), you can pick out your own succulent and plant it (or take them home separately)! While supplies last. Everything is free.